The app streamlines the data so it can be seen and used on a smartphone. GREENVILLE, N.C. – Yale Materials Handling Corporation announces a new mobile app for its Yale Vision telemetry solution. 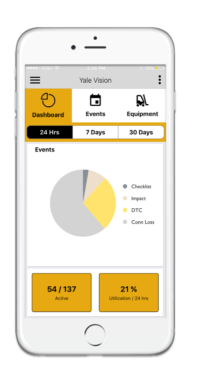 The app works as a companion to the existing Yale Vision desktop portal, bringing data-driven insights and management functionality to the warehouse floor for easier, more efficient fleet management. 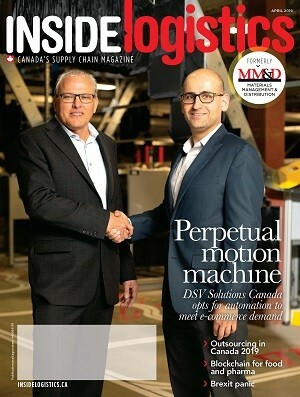 “The adoption of connected IIoT solutions continues to grow, as does the need to access instant insights while on the move,” says Steven LaFevers, vice-president of motive power and telematics for Yale.